Our Cabinet Office colleagues at Civil Service Learning recently listed 6 new dates for the 1-day Digital Foundation Day developed here at GDS. The next date is next week, on Tuesday 14 July 2015. These are open courses for people who will work on digital services in accordance with the Digital Service Standard. 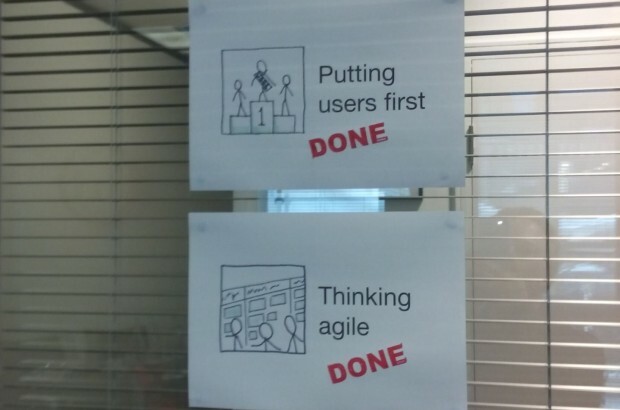 Participants will cover the changing way government does digital, how we put users first in everything we do, the principles behind agile methodologies, and how services are assessed before they can go live on GOV.UK. Booking is open now on Civil Service Learning. The foundation day is also available for agencies and departments to run for larger groups. Through Civil Service Learning, you can make a group booking for up to 30 people and run the event on your own premises or at an external venue. For non-departmental public bodies not covered by Civil Service Learning, the Capita Wider Sector team (widerpublicsector@capita.co.uk) may be able to assist. Alternatively, if your department or agency has a trainer with the right facilitation skills and digital expertise, we’ll be happy to share the materials and everything else you need to deliver the day successfully yourself. To discuss this option, please contact the GDS Skills Team (service-manager-programme@digital.cabinet-office.gov.uk). Have you thought of creating this course in Coursera or any other online course delivery mechanism so the wider public can participate? I would be interested in attending if you did have any space.